Lisabetta’s time for rescue is running out as the year end approaches, and problems threaten to destroy the work in progress. 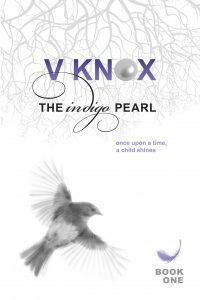 Veronica’s past catches up and both women have to struggle against the odds of every feeling significant. 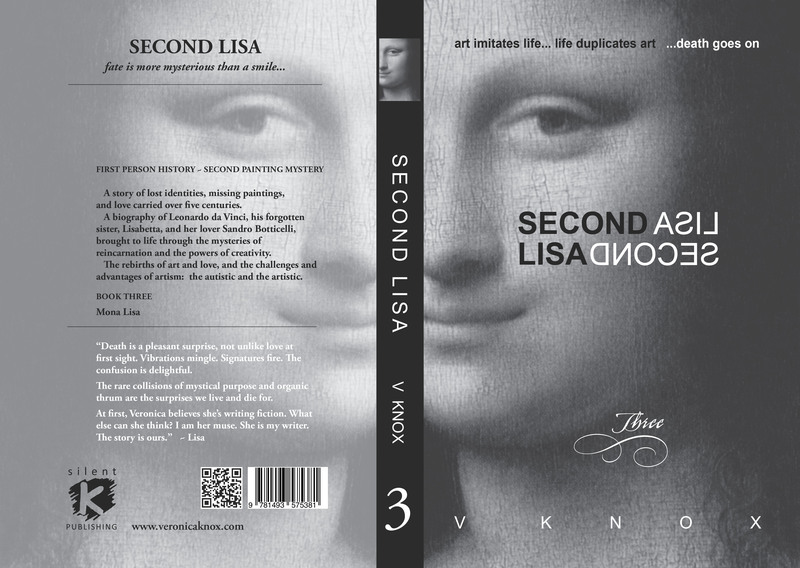 Book three chronicles the success of Leonardo and Lisabetta during their travels to Rome and Milan, and the creation of two similar portraits, one of the young Lisa Giocondo, wife of a prominent silk merchant; and the other of Lisabetta, the iconic ‘Mona Lisa’ in the Louvre, Paris, France. 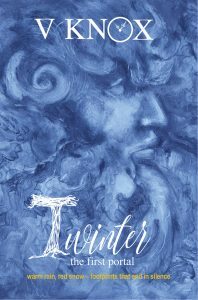 The final book in the trilogy culminates in the suspicious circumstances of Lisabetta’s death, and the aged-Leonardo’s final years in Amboise, France, at the age of sixty-seven. 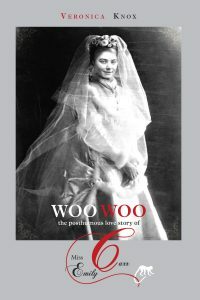 Lisabetta clashes with Piero, as Leonardo’s financial troubles escalate. 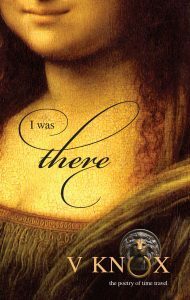 She sees Leonardo through more life changes, but the anonymity that once served her backfires when she is completely forgotten after Leonardo’s death. Lisabetta’s identity as the ‘Mona Lisa’ and her dedicated years supporting an obsessed artist, evaporate in the historic record, other than an obscure mention in a census and some lost notebooks of Leonardo’s. 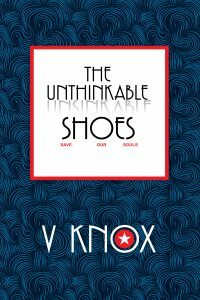 The true identities of Veronica, Jupiter, and Lisabetta are revealed in a bizarre discovery of reincarnation, inherited challenges, family genetics, and parallel lives. 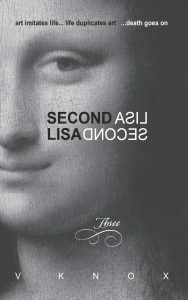 Connecting events, comeuppances, and the eventual resolution the love triangle results in a showdown of emotional truths which may leave Lisabetta trapped in the ‘Mona Lisa’ for another five-hundred years.